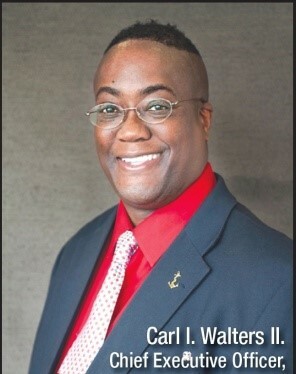 By: Carl I. Walters II., Chief Executive Officer, Outpatient Medical Center Inc. I am often asked – what is the single-most thing we can do as a community or nation to better control our community/nation health care rising costs? My answer to this has been and remains – is for people to take good care of themselves and get under the care and stay under the care of their primary care clinician. Outpatient Medical Center Inc. (a Federally-Qualified Health Center); your community health system; has been on the front lines of helping to keep your family and you healthy and whole for 40 years. We are proud to be recognized as primary care chronic disease treatment experts by the Federal government; as Federally Qualified Health Centers have been federally mandated to help reduce chronic disease morbidity and mortality rates for over 50 years now. Federally Qualified Health Centers are also federally-mandated not to allow one’s inability to pay for services to be a barrier to care. This means, we’re more concerned about ensuring you receive the high-quality, medically-appropriate, cost-effective personalized services your family and you deserve to keep your family and you healthy and whole. Our dedicated Board-certified system clinicians and clinical teams stand by with open arms wanting and willing to provide your family and you with outstanding professional and personal care – because caring for your family and you is what we do. Outpatient Medical Center Inc. carries one of the national highest seals of providing the highest quality medical services as we are JCAHO accredited. We have also applied to become Patient-Center Medical Home recognized; a distinction we are committed to adding to our health system quality awards by the end of this calendar year. Outpatient Medical Center Inc. desires to keep more of our community families healthy and whole. So if you have not received core medical or dental preventative services in awhile, or, you are not under the care of a primary care clinician, I encourage you to stop right now; pick up the phone and call 1-800-268-5872 in Natchitoches, 1-800-308-7566 in Tallulah, or 1-800-308-7569 in Leesville, to establish care with our health systems. Our dedicated clinical teams would be honored to provide outstanding primary care for your family and you. Equally important, it just might be the call that saves your family members or your life. Come see us today because caring for your family and you is what we do. Tuesday 8 am – 6 pm with our health system. Call any one of our locations today to schedule an appointment! 1640 Breazeale Springs St. 1603 B Boone St. 804 Beech St.